Gary Lilienweiss has practised law since 1993, after completing his education at the University of British Columbia and the University of Victoria. Born and raised in Quesnel, he returned to his home community in 1996. 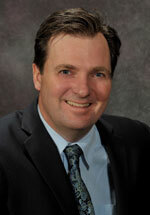 His practice focuses on Real Estate and Personal Injury Claims. He represents The MacIsaac Group for Personal Injury Law in Quesnel and area. Gary is an active member of the Quesnel Ski Patrol, and is president of the Quesnel Film Club. He spends his free time with his family and enjoying outdoor activities in the Cariboo. Gary Lilienweiss is the MacIsaac Group representative for clients in Quesnel and surrounding areas. The MacIsaac Group of Law Firms’ specialized personal injury lawyers provide you with expertise and the best possible legal services for ICBC and personal injury claims, right in your local office. If you have been injured in an accident through no fault of your own, give us a call. We can give you the advice you need.